Sporting a sleek, durable design, this electric countertop grill with removable plates provides 84 square inches of cooking surface for endless cooking options. 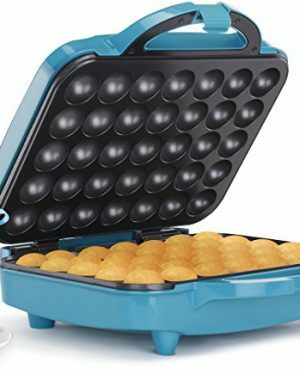 Its four interchangeable plates (each with convenient snap handles) consist of two grill plates, one deep baking pan, and one muffin pan. 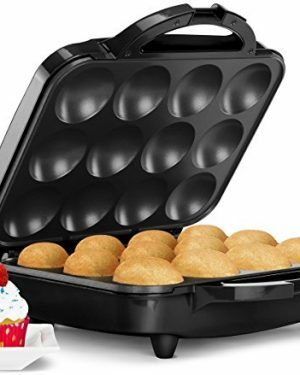 Lay the grill completely flat for even cooking when making pancakes, waffles, and muffins or when cooking eggs and hash browns. The unit’s patented sloped design also offers an optimal grilling angle of eight degrees, which allows fat and grease to drain off for healthier meals and reduced smoke when cooking bacon, burgers, and more. 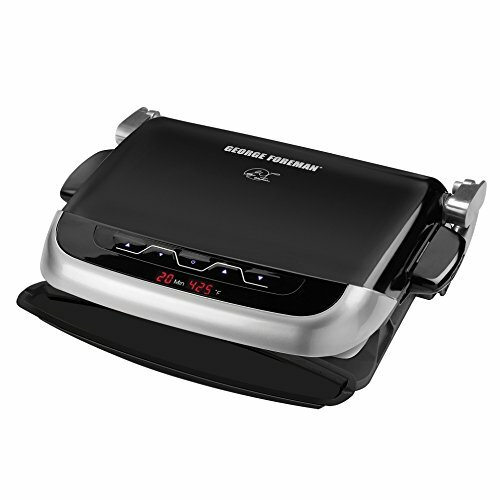 In addition, the grill’s 1-inch floating hinge accommodates thicker foods like steaks and pork chops, while its George Tough triple-coated nonstick surface ensures lower fat cooking and effortless food release of even the most delicate foods. 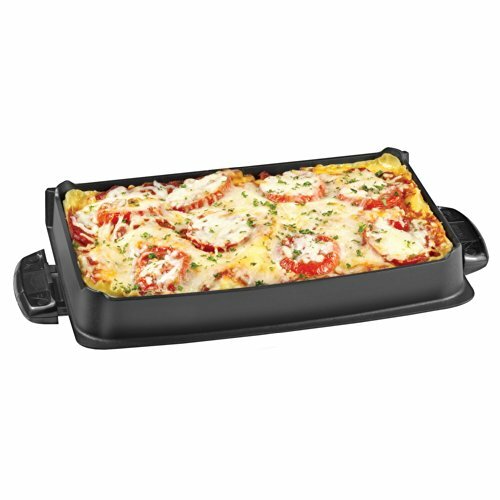 Other highlights include signature Foreman elements that heat up quickly and deliver even heat across the entire cooking surface, from the center all the way to the edges; user-friendly electronic controls with a digital display, variable temperature control, and a 20-minute timer with automatic preheat; and an easy-to-clean design–simply wash the removable plates in the sink with a sponge or load them into a dishwasher. 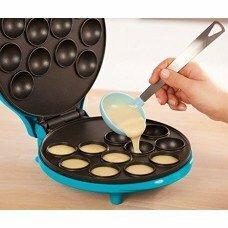 Accessories include a unique spatula that fits perfectly on the plate for smooth food removal and a customized drip tray for quick cleanup. 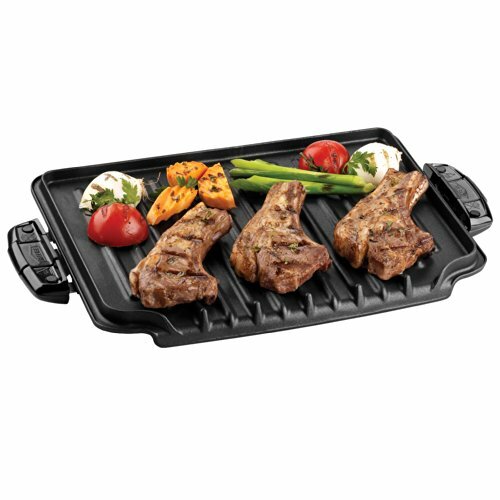 The grill measures approximately 17 by 10 by 7 inches and carries a two-year limited warranty. 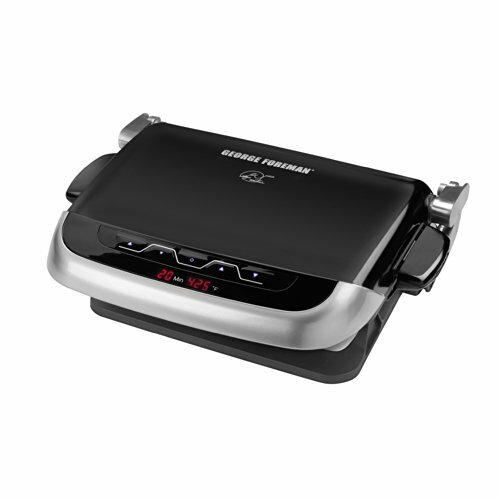 As the most versatile grill ever from George Foreman, the Evolve Grill lets you cook up to 8 different ways, all with one compact appliance. You start with a 4-plate starter set, then build your collection with up to 6 additional plates available for purchase. It’s like having an entire kitchen’s worth of versatility with just your grill. Grill plates and deep-dish bake pan. 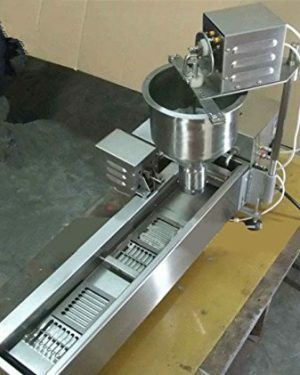 Adjustable slope for draining fat. 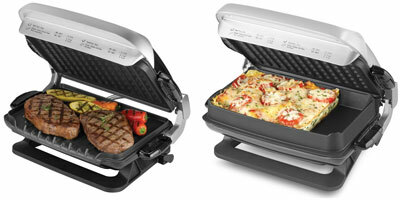 Like all of our grills, the Evolve Grill is designed to make cooking healthier easy. 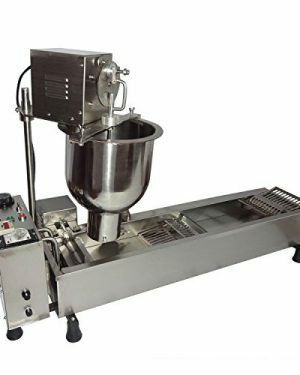 The adjustable slope lets you angle the cooking surface so fat and unwanted grease drain away from food as you cook. Plus, our George Tough nonstick coating is specially designed to let you cook without oil or butter, for healthier meals without any extra work for you in the kitchen. With variable temperature control and a 20-minute countdown timer, you’ll enjoy better, more precise results on the full variety of foods you can cook with the 10 plates. The easy-to-use digital controls let you cook everything from casseroles and brownies to omelets and mini-burgers with great results. The 84 square inch cooking surface is big enough to let you cook for the whole family with ease, so you can make great tasting, healthier meals for your family without a hassle. The cooking surface features our Signature Foreman embedded heating elements that offer even heat from the center to the sides of the plates, plus faster temperature recovery once food is placed. 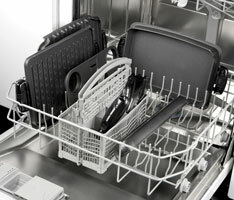 Thanks to the dishwasher-safe removable plates and accessories, cleanup is a snap! Simply use the custom spatula to easily serve the food, scrape excess grease into the fat-catching drip tray and then put all of the components in the dishwasher for fast, no-fuss cleanup.